If you enjoy reading about conjecture from over a hundred and fifty years ago then you might enjoy this story, but I didn't. 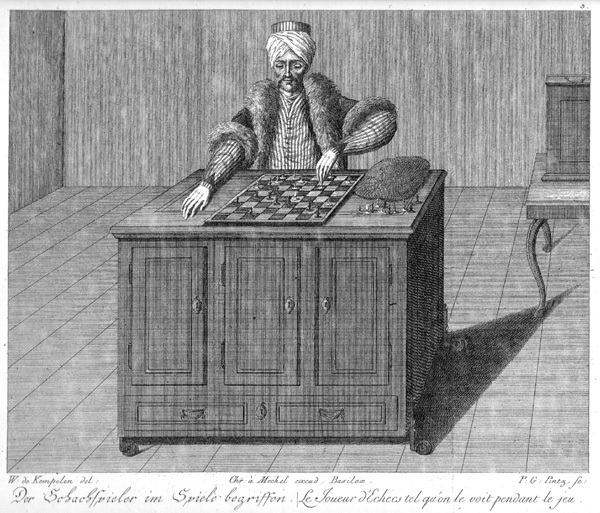 The story focuses on a chess-playing device from the time aptly named "The Turk". It was quite the enigma as it seemed to be completely mechanical. Edgar Allan Poe seems to do a great job of guessing how it works. He believes that the device is not mechanical at all and that there is a man inside of the machine. This actually proved to be true. While I wasn't a fan of this story, it did leave me on a rabbit trail and I discovered the surprising and impressive complexity of some automatons build over a century and a half ago. This seems to be becoming a lost art as digital experiences have replaced mechanical complexity. I rate this story a 1.5 out of 5. It was actually pretty hard to make it through the entire story but I did learn a few new things, as it seems I do with every Edgar Allan Poe story.